The ViscoClock is designed for the use of an Ubbelohde viscometer, a MicroUbbelohde viscometer or a Micro-Ostwald viscometer made by SCHOTT Instruments. 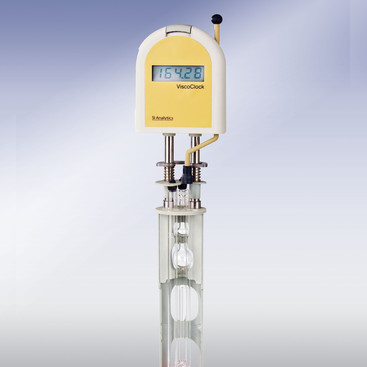 The ViscoClock automatically measures the fl ow-through time of temperature-stabilized liquids through the capillaries of the viscometer at temperatures ranging from -40 °C to 150 °C. For temperature stabilization in the thermostatic bath, the following tempering liquids are suitable: water, alcohol water (e.g. ethanol, methanol), paraffin oil, and silicone oil. Liquids can be measured that qualify for use with the viscometer being used in each instance. The most precise method used to determine the viscosity of liquids is their measurement in capillary viscometers; the ViscoClock functions according to this method. The operating time is indicated with a resolution of 1/100 sec. with quartz precision. 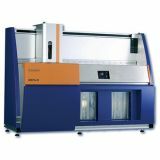 The accuracy of 0.01 % of the measured time used to calculate the absolute and relative viscosity is indicated as measuring uncertainty with a confi dence level of 95 %. Only the calibrated viscometers made by SCHOTT Instruments are suitable for the calculation of absolute viscosity in the temperature-stabilized, transparent thermostatic bath. 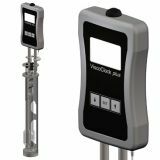 For the measurement and calculation of relative viscosity, all Ubbelohde viscometers, uncalibrated and calibrated,can be used for manual or automatic measurements.